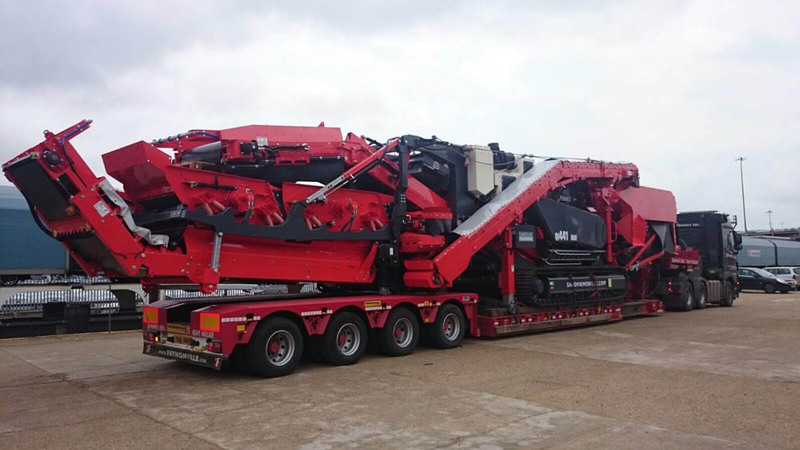 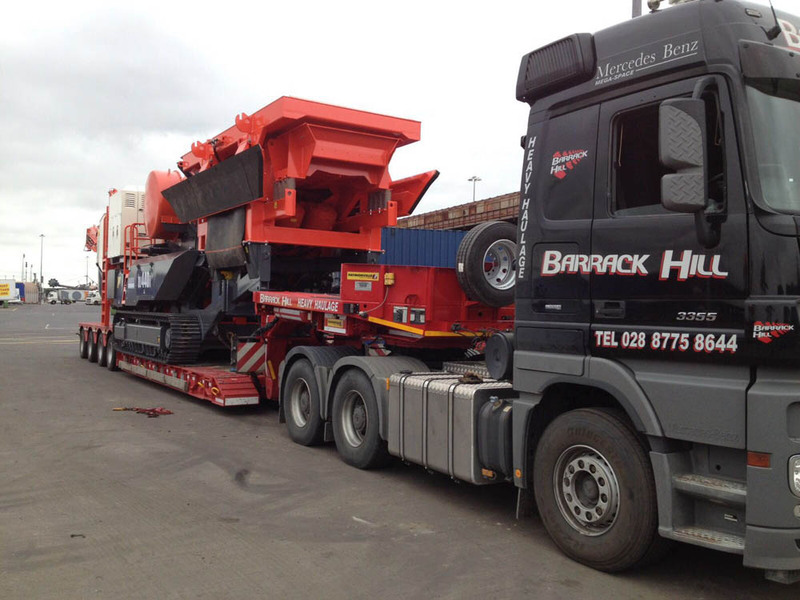 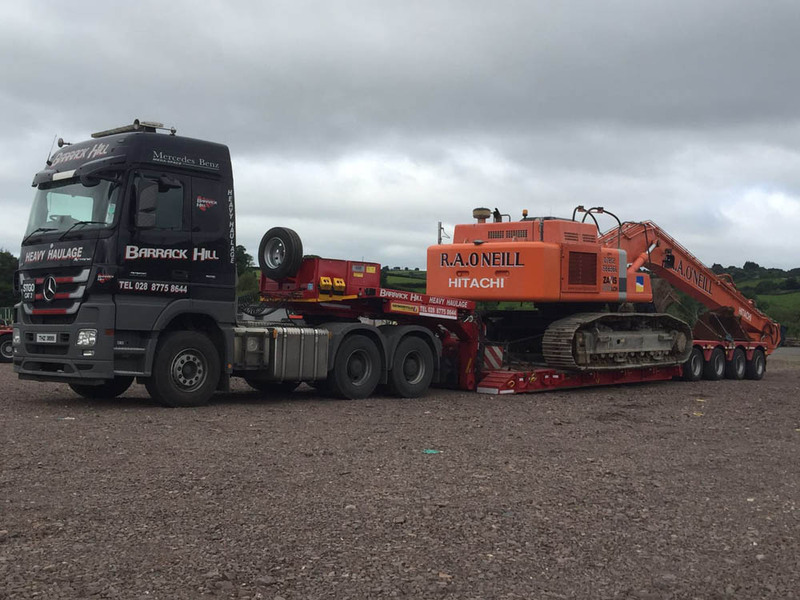 Barrack Hill Quarries Heavy Haulage Division is our strongest growing market. 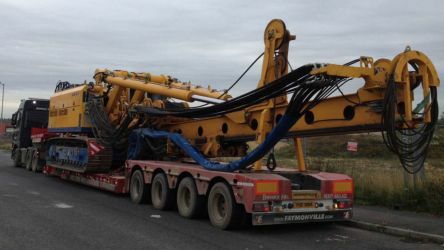 We are constantly re-investing in new equipment such as a selection of Nooteboom and Faymonville Heavy Haulage trailers. We also run a fleet of Scania and Mercedes double drive tractor units fitted with the latest tracking systems so we always know the exact location of your cargo. 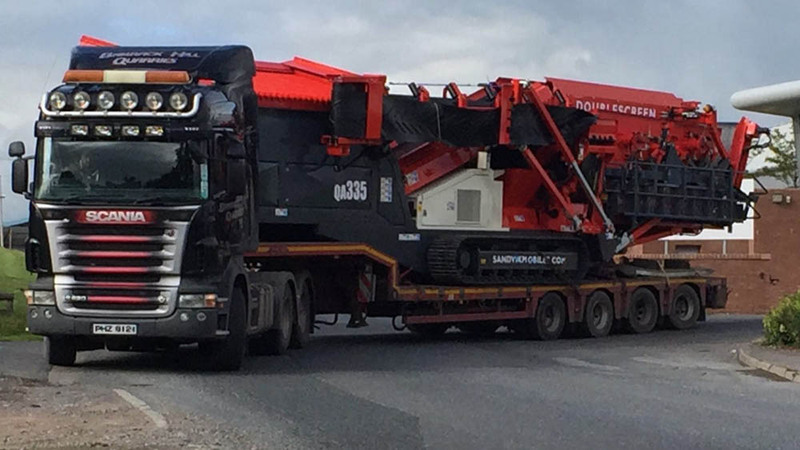 Currently we are moving upwards of 1000 pieces of Heavy Equipment each year with a capacity of up to 150tonnes. 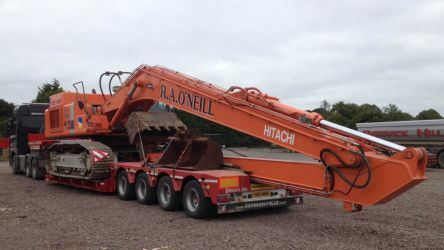 Collecting and delivering throughout the UK and Ireland. 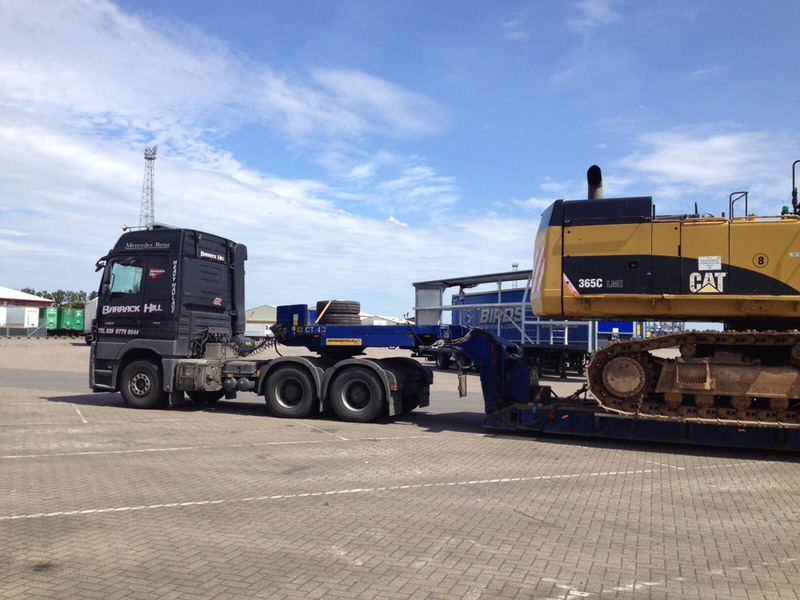 We are moving equipment such as Diggers, Dozers, Dump Trucks, Loading Shovels, Drill Rigs, Crushers, Screeners, Trucks, and much much more. We have even transported wind turbines from the UK to Ireland. 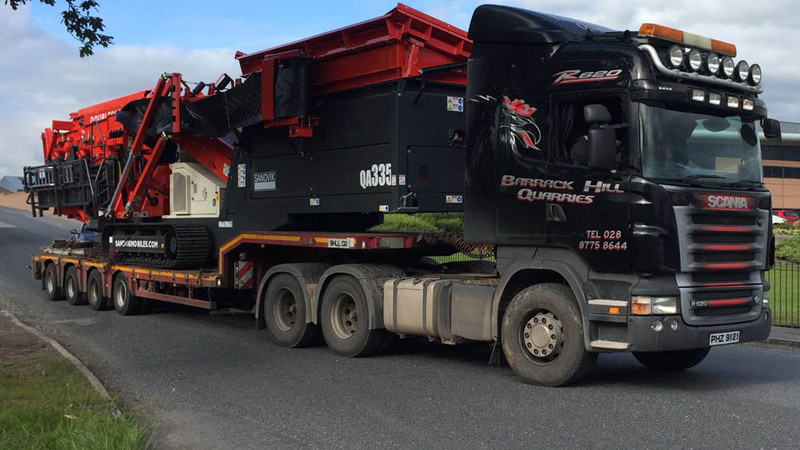 With our experienced Hauliers at the wheel there is not much we can’t do. 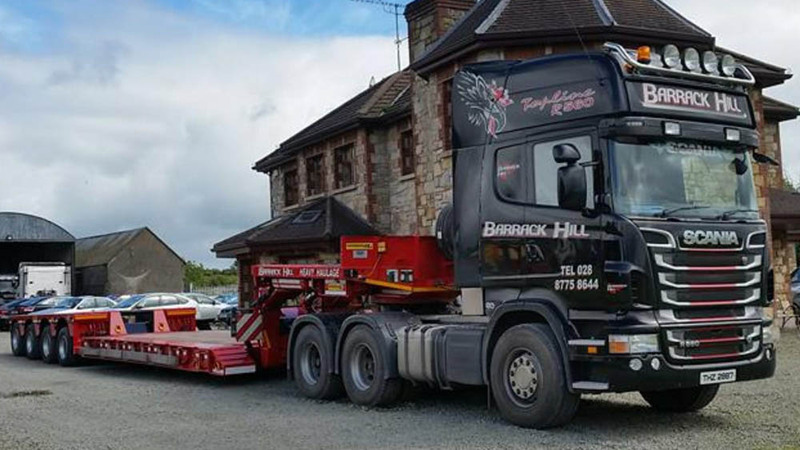 It is a complete service that is offered here at Barrack Hill, we can look after everything from shipping, insurance, road permits and escorts. 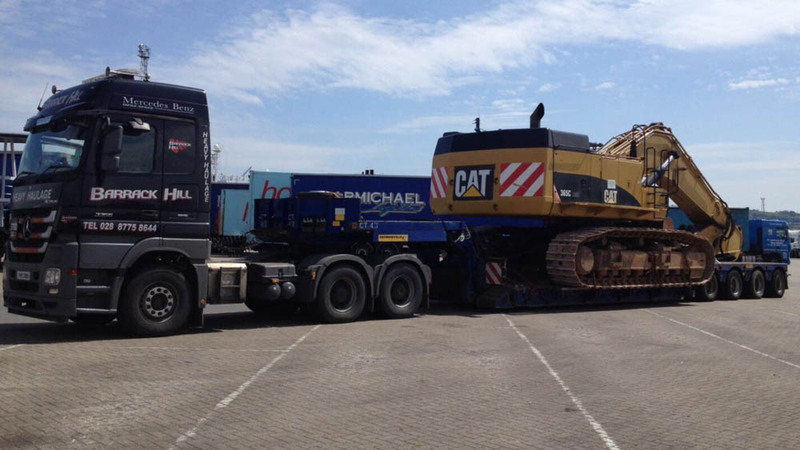 Your cargo is in safe hands with us!